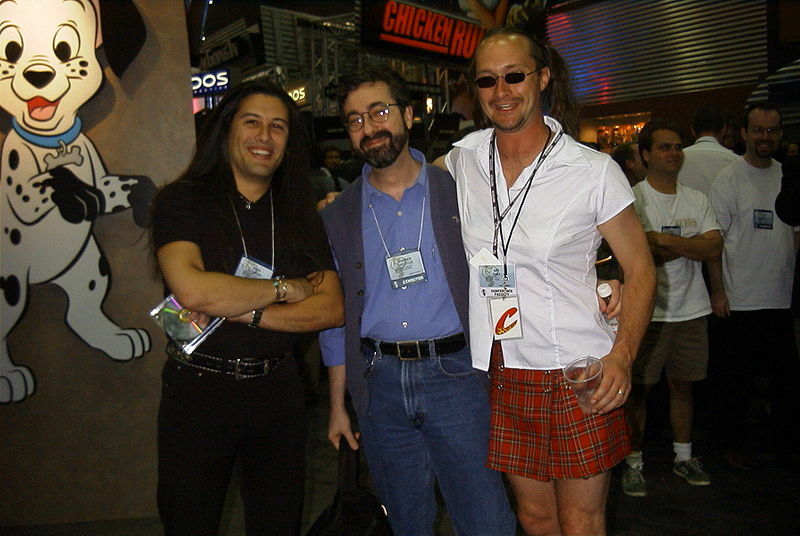 John Romero (left) with colleagues in his glory days. When Ion Storm was founded, back in 1996, people expected great things from the newborn developer. After all, it was founded by John Romero, who was something of an industry legend. He was behind one of the greatest first person shooters of all time, namely Doom. Time magazine even proclaimed that “everything that game designer John Romero touches turns to gore and gold”. So why was Ion Storm such a failure? For starters, they massively overspent on facilities. They rented a luxurious penthouse in the US city of Dallas, which cost a whopping 2 million US dollars. So they were living like rock stars instead of video game developers. But what really brought the studio down was the infamous Daikatana. This first person shooter was hyped to death, suffered numerous delays and turned out be a massive disappointment. Time magazine called it “one of the worst 3-D shooters ever made”. It was a commercial and critical failure and, unsurprisingly, took Ion Storm down with it.